This is a season of milestones for Anytime Fitness. The 24-hour micro-gym concept not only hit the top 10 of the Franchise 500© for the first time, it also just celebrated its 10th anniversary, recently opened its 2,000th unit and is launching a sister franchise, Waxing the City. So how did Hastings, Minn.-based Anytime become a franchise superstar in such a short time and amid strong competition? CEO and co-founder Chuck Runyon says his concept--small neighborhood gyms with 24-hour key-card access--earned its reputation by addressing one big consumer demand: convenience. Anytime's 2,000 domestic locations are accessible to all members; Runyon says 8 percent of members utilize a location other than their home club at least once a week (typically hitting the gym on a lunch break or while traveling). The other key to success, he says, is the club atmosphere. 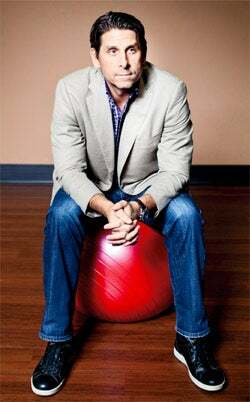 Moneyball: Chuck Runyon of Anytime Fitness. "Customers love our culture. It's convenient and non-intimidating," Runyon explains. "Our biggest competitor is actually not other gyms. It's the intimidation people feel at other workout facilities." Also setting the company apart is AnytimeHealth.com, the franchise's online component, which Runyon believes will maintain the brand's relevance as customers' fitness needs change. Anytime has invested heavily in the site, which offers meal planning, goal tracking, online personal training and user forums to keep members motivated. "I do think the virtual component is becoming more important," Runyon says. "Look how Blockbuster was obliterated by Redbox and Netflix. Will people need a health club in 10 years? Or will they be looking online for a coach?" 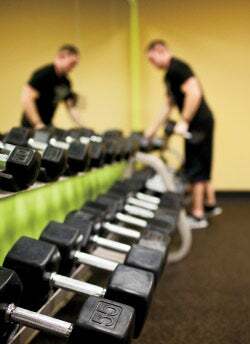 "Our biggest competitor is actually not other gyms. It's the intimidation people feel at other workout facilities." Despite the virtual focus, Anytime isn't giving up on the real world anytime soon. In 2012 the company added 240 locations in the U.S. and 75 internationally; about the same level of expansion is planned for 2013. But it's not just the successful real-world and online strategies that have led to Anytime's crescendo. Runyon's true interest is in making franchise ownership as balanced and enjoyable as possible. "Our No. 1 metric is franchisee satisfaction. The secret to our brand is that we focus less on ROI and focus more on ROEI--return on emotional investment," he says. "Our company is based on the four P's: people, purpose, profit and play. At most franchises you invest so much money, then work 70 to 80 hours per week. At Anytime, owners work about 20 [to 50] hours, then coach Little League or help out at school. They spend more time living their lives. They're working to live, not living to work."